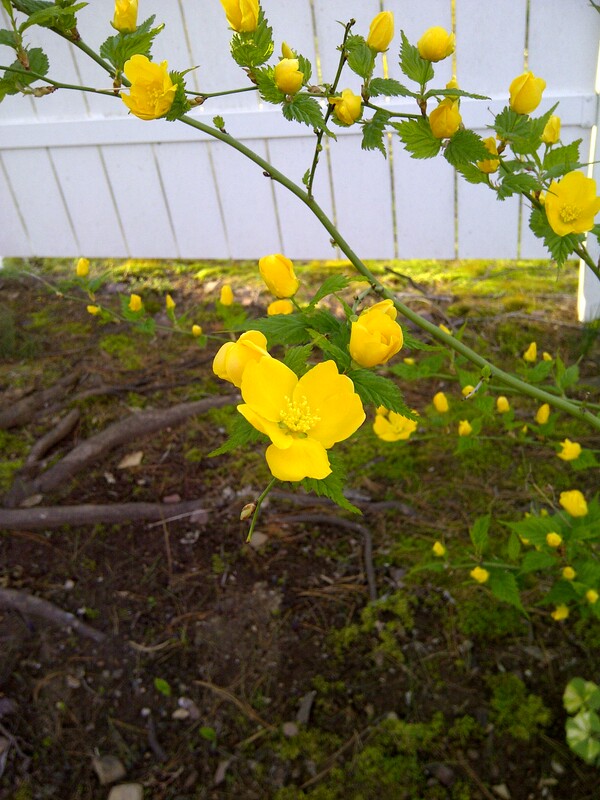 My favorite spring shrub, kerria japonica. I prefer this to forsythia. 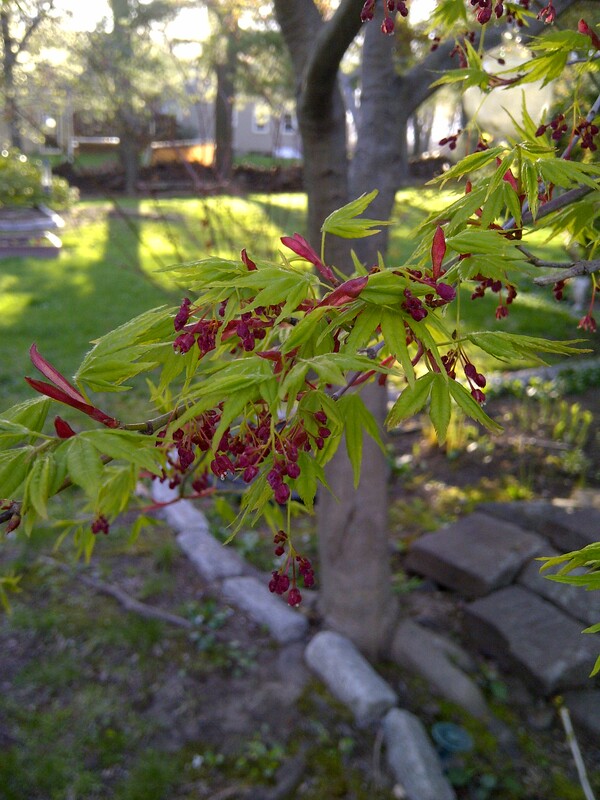 One of our Japanese maples, just coming into bloom (and leaf). This is one of the prettiest stages–almost prettier than the fall color! 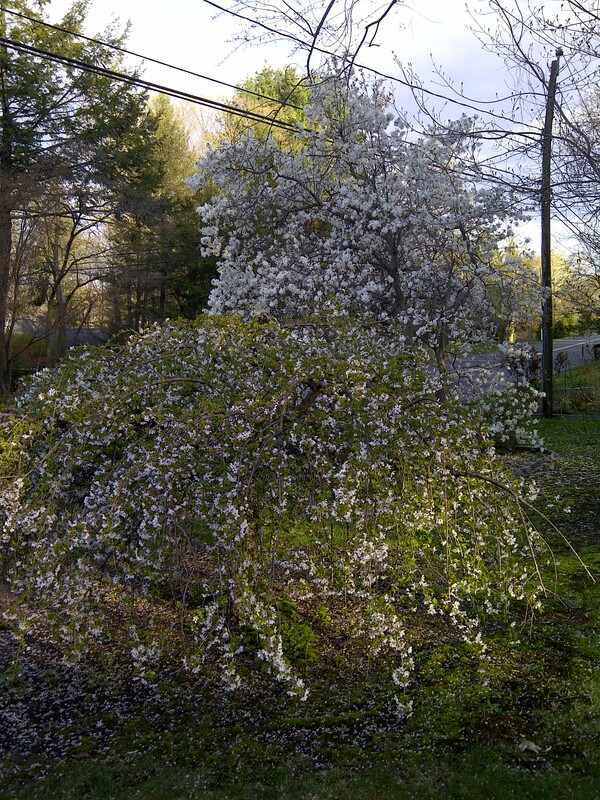 Two of our flowering trees, a Snow Fountain Cherry (prunus x subhirtella ‘Snow Fountain’) and a Star Magnolia (magnolia stellata) just finishing up bloom. Last year these trees were in bloom a full month earlier!